The ceremony started off with Lake Worth’s Mayor Pam Triolo reading the proclamation from the city, as well as introducing the theme for this year, “My health, my right. “I am so honored to be here,” said Triolo. “This is a very special evening, not just for Compass, but for the entire city as a whole. I usually travel this time of the year so I haven’t been here for this presentation. I was given a tour earlier and I was moved beyond belief. I’m so proud of the work that Compass does. As the evening went on, guest was serenaded by local singing sensations The Voice of Pride. They opened with a spirited rendition of the 1975 classic song “Hallelujah,” which was made famous by Leonard Cohen. World Aids Day is such an important day, their next selection “I dreamed a dream” gave everyone a chance to reflect on just how special the day actually was. Their beautiful voices soared as the audience hung on to every word, and note. Along with the choir and an appearance from Mayor Triolo, Compass also had three special guests give speeches.’ The speakers were Chris Lacharite, who is a registered nurse that’s worked in the HIV filed since 1985 in Boston, Los Angeles, and in South Florida. 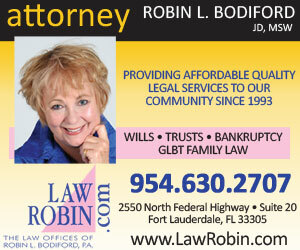 He currently works as the HIV Program Manager for the Metropolitan Community Church of the Palm Beaches. Another speaker was Deacon RussellAppollonia, who spoke on his experience with being diagnosed with G.R.I.D in 1985, as well as his reaction to being tested positive for HIV in 1986. Pearson, is the Youth Mentor Coordinator for Compass. Not to mention, she is also the first ever transgender employee at Compass Community Center. Pearson was diagnosed with HIV in 2001. She began her transition in 2006. Over the years, she has become known for being an outspoken advocate for transgender rights and healthy lifestyles for those affected by HIV. She gave a very emotional speech that touched several people seated in the crowd. Many shed tears due to being inspired by her transparency and her optimism. 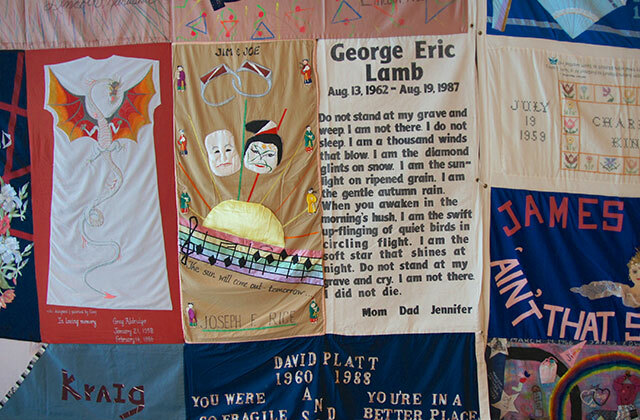 Shortly after the speakers, on-lookers were invited to view the AIDS memorial quilt along with candlelight visual. On-lookers were asked to have a moment of silence to reflect on the monumental day, and the huge impact HIV has had on our community. Compass will be holding the quilt in their facilities until Dec. 12. Visit their website www.compassglcc.com for more information on the rest of their World Aids Day events. Coffee & Conversation: Can Connie Find Her Way To Pride?